We've partnered since 2011. We currently have 15 partners, taking between 8 and 40 tickets/season and taking 2 through 4 tickets together per game. We share/draft all our playoff tickets, at cost. Our partners typically use the tickets they draft. These can also be exchanged, with partners and otherwise. We share the perks of season-ticket membership. Our four seats are on the 2nd deck, opposite first base. They're in the back row, in front of the glass wall. So, one may stand or sit at one's volition, and one may stash belongings behind the seats. The seats are under the overhang and have a foot of extra legroom, yielding easy access. An advantage over aisle seats is not having to stand to let others pass. The Club Level promenade offers good food and spots where one can warm up or chill. Our four tickets are available for all home games. Each pick in our draft is four tickets: either two pairs of adjacent tickets to different games or all four tickets to one game. (In practice, one can draft almost all 4-ticket games, if one wants.) We use the Giants SplitSeasonTicket.com website, which yields draft orders which are fair to all participants. If you need just three tickets to some games, you may return one of the four. Our online ticket draft will start at noon, Pacific Time, on Saturday, 2 March, and take around three hours. In 2019, thanks to a favorable contract and a 10% discount off the face price of tickets, your average ticket cost is $74.00. Options for payment include making a payment to our Giants' account, PayPal or a check. To participate in the draft, your payment must be received by close of business on Friday, 1 March. Your draft picks may cost more or less than your payment. You won't be asked to pay more. If they cost less, you'll be refunded the difference. Some partners prefer tickets printed by the Giants and others take e-tickets in their accounts on MySFTix. Tickets are distributed by mid-March. We support the Giants through thick and thin, and we would be grateful for your joining us. Our 2019 online draft took place on 2 March. Tickets not drafted remain available and are listed below. They've been discounted 10% or more from their actual cost. If you need 4 tickets to a game, and there are two, chances are good we can buy them at cost from our “neighbors”, yielding 4 tickets together. If you want a game which isn’t in the listing, we may be able to exchange one that is for the desired game in Club Infield. We have selected our games and are prepared to purchase. However, we only want two seats per game, the MLB software only allows purchase of four seats when listed as available. Please advise. I'm glad you're going to partner with us! You should be able to pick two tickets/game. I'll look into this. Meanwhile, if you include a list of your games in a followup question, I'll make them two-ticket games. Received your follow up about 4 games (3/18 )added to listing. What are they? Listing looked unchanged. They’re 2 for: Sunday 12 May vs CIN at 1PM $87 & Friday June 7 7:15PM vs LAD, $87 & Saturday July 20 vs NYM, $128 & 11 September vs PIT 6:45 PM $40, for which there were two. The listing’s tickets are updated. You may need to login again to see the updated list of 38 tickets/13 games. Would it be possible to buy two tickets per game since that’s all we need? Yes. Our partners draft either pairs or all four. I’ll have a few more games to choose from by Monday. I’ll help you convert them into games you prefer, to compensate for your missing our draft. For intsance, the Giants have said they’ll exchange up to 1/4 of our tickets for games we prefer. Details will be available soon. We can also ask our neighbors for pairs of tickets, which they sell at cost. I'm sorry. I wasn't notified that my offer was accepted, so it expired yesterday. I just resent and will PayPal you as soon as it accepted. I’m very pleased. I wasn’t notified of your offer until today, after it expired. It could have been a victim of nobody working at the Giants on the weekend. When I receive the resent offer, I will accept it. You’ll have a chance to confirm. You could also call Giants Premium Seating and make your payment to my account (which they can look up). Thank you for your prompt reply. How do you particpate in the draft? Do I need to pay a deposit? Thanks! The Giants have new partners pay up front for the quoted, average price, for the number of tickets they will draft. Thus, we refund the difference between this payment and the actual cost of the drafted tickets minus 10% (which our partners pay). If your payment is less than the latter, you won’t have to pay more. I wrote an algorithm which generates fair draft orders and accommodates partners drafting different numbers of games. My algorithm is included in the draft website, and it works fine for our partners—better than the other draft-order methods on the site. We’ve a lot of experience, and we do our best to share all the perks given to season-ticket holders. I'm looking to purchase 10 games this year. Do you have room in group to accommodate me? Please let me know. Thanks! Yes we do, and we’d be glad to have you join us. Our online draft will be on 2 March, starting at 4 instead of noon. Thanks for the response. So it looks like the games that you have left are basically the weekday night games which are a bit less desirable for me as I have two younger daughters. I would be interested in getting games in groups of 4 tix per game and like the idea of being a partner with respect to post season/ high demand games. what do you think that I should do? Regarding high-demand games, 26 Fri., Sat. and Sun. games are currently available in seats 7 & 8. A majority will match up with games available in seats 13 & 14. You'd be able to get a choice selection of games by combining the two. Our partners will swap seats with you, so you can sit together. Our neighbors tickets will cost 20% more than ours (based on the contracts). For example, we pay $68 for doubles games, but our neighbors pay $82. (They sell their tickets at cost; I discount ours.) A 5 such games would be easy; 15 might be the upper limit. The Giants will require you to purchase 8 pairs of tickets and to pay the $40 fee. (To meet these requirements, you could draft two pairs from four games for which four tickets are available.) I'd allow you to return any of these games and reimburse you what you paid for the tickets. I won't mind, but they're a great deal, if you can use them. Then, we'd secure four tickets for desired weekend and other games. I'd start by getting an updated list of what's available in both 7 & 8 and 13 & 14. (The ticket holder in seats 13 & 14 is about to take a short vacation, and we may have to wait until she returns.) It seems smart to line up most of your games before the season, but you could leave openings in your split season to fill based on how the season goes. For the really high demand games, like Opening Day, we'd need to see if Premium Seating can help. I bought two Opening Day tickets from them for a partner on 1 March. The 4 April game starts at 4PM and is the "kids opener". We put all the postseason games they allot us, plus two additional seats in Sect. 220, in a postseason draft. Join us, you'll be in this draft and you'll be set for future seasons. Our seats and the ones next to them are ideal for families. Partners take different numbers of tickets for different seasons, and it works out. Dear Gregroy, Yes, the listing is active and tickets are available. It’s aimed at finding more long-term partners. Your questions are welcome. This is our eighth season, and some partners bring experience from prior partnerships. (As far as I know, no partner was previously a Giants season-ticket holder, though one has become one.) Our seats have extra legroom, making them better than aisle seats. The top row has advantages. Partners like sitting in our seats, and we’re staying put. Our partners get a 10% discount off the ticket price. Without them, we couldn’t afford season tickets, costing almost $26K. (This season, singles games cost $45, doubles cost $68, triples cost $95 and homers cost $121.) Our draft was on 2/24. Partners took a little over three of our four season tickets. Our drafts have four tickets per pick. I devised a fair, draft-order algorithm, used in the draft setup. This draft had 66 picks, taking about an hour and 20 minutes. Almost all partners either pick pairs of tickets to different games or quads. One partner uses triples; they draft quads and return single tickets. (This season, about 10 single tickets were generated, not included in the list of available tickets.) For six or eight tickets together, partners add pairs of tickets from “neighbors”, with in-demand games from neighbors often included in our draft. After the draft, a partner joined and bought 22 of the leftover tickets. We could comfortably supply you up to 80 tickets. 38 tickets are currently available in our seats, in pairs and quads, discounted 30% and detailed in the listing. (To join, you’re required to buy 16.) To supplement these (e.g. weekend games), tickets in neighboring seats, 7 & 8 and 13 & 14, have good availability and are sold at cost (average cost around $100/ticket). If you bought some of the latter, my partners will swap their seats (9 through 12), so your party could be seated together. I’d facilitate these arrangements. We've supplemented our postseason strip with two tickets in Row M of Sect. 220. We draft our supply of postseason tickets and pass them on at cost. Best from David T.
Hi I'm new to this procedure but very much interested in participating. Just a question or two. So the minimum tickets I need to buy is 16, right, or 8 pairs at $74.05 each? If the price of the tickets came out to more after picking the game, would I then pay you the difference? Also, is there a website we would go to to pick? I'm sorry for not knowing what to do. Dear Scott, Our draft has two pairs per pick, either to different games or to the same game. An odd number of pairs, such as 19, won't quite fit our draft. (If you wanted some games with 3 or 6 tickets, an odd number of ticket pairs could work.) But if you only want 2 or 4 tickets to games, you should pick an even number of pairs of tickets (18 or 20). I'm going to counter your offer with 18 pair, but if you want 20, you can have them. I could definitely do like last week of Jan . Would that work instead of Jan 15th ? Yes. BTW, I was right that only season-ticket holders and partners may access the game breakdown, into price classes. Ah Thanks for the clarification . You mentioned the money would be due after the draft and I could pay by check or paypal , so if I go ahead and make the offer do I just put date to pay by as End of feb ? Hi Ram, New partners usually pay before the draft, as a token of sincerity. (After the draft, I reimburse for overpayment, if you pick inexpensive tickets.) Would 15 January work for you? 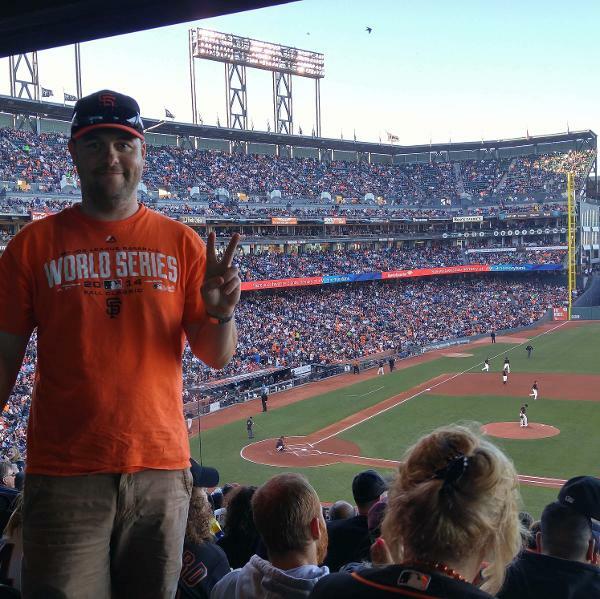 You may call Giants Premium Seating (415) 972-2102, and pay with a credit card, if you like. You'd need to give them our account number. Ah! so the 4 price levels you have correspond to single/double/triple/homer so basically after the discount I would pay the following rate per tix based on the game level ? $34.20 -> single , $56.70 -> double , $80.10 -> triple $108.90 -> homer Also since min offer is 8 games can I pick 8 games of 2 tix each or 4 games of 4 tix each ? Basically make a offer for 16 tix ? That's exactly right. In our draft, each pick is 4 tickets. You'd be able to draft mostly 4-ticket games, if that's your aim. Or you could draft 8 different games, 2 tickets each. If you want some 3-ticket games (or 6-ticket games), these will be handled before the draft. With 16 tickets, you could, for example, select four 3-ticket games and make one pick in the draft. The Giants' four price categories apply to all season tickets, but the actual prices follow from season-ticket contracts. Established partners pay 90% of my ticket cost. If new partners' tickets cost less than average, I refund the difference. If new partners' tickets cost more than average, I usually let this go. (I ask new partners to aim for the average.) Later today, I'll ask Giants Premium Seating if there's a site where you can access the 2017 breakdown of games. If so, I'll follow up with a link. Hi - I see you have 4 price points for every game ,are those face value ? Also do you have details as to which games on the calendar are at which price point . Hi Ram, Those are 90% of face value, as is the average price. I've the 2017 schedule, with games listed as "single", "double", "triple", "homer" and "grand slam" (opening day). (The two exhibition games with the A's cost almost the same as "singles".) Unfortunately, as far as I know, only season-ticket holders can access this schedule. I forward it to my partners before our draft, where corresponding face values are noted for all tickets. Because our ticket contract began in 2013 and price increases are capped, our season tickets cost 78% of their cost for new season-ticket holders in Club Infield. This listing has been saved by 197 people.